Why Use Trade Risk For Your Insurance? Home / About Us/ Why Choose Trade Risk? 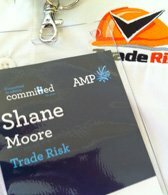 Thousands of tradies from all states and territories of Australia choose Trade Risk for their insurance. Because we insure so many tradies, we have been able to use our buying power to negotiate better deals for many different trades, and we pass those savings on to you. We are dedicated to the trades and services industry. It’s all we do and we know it well. Don’t take our word for it though. Check out our testimonials page to see the reviews and ratings from dozens of Trade Risk clients. Real People in a Real Office! Unlike some online businesses out there, we are real people in real office. 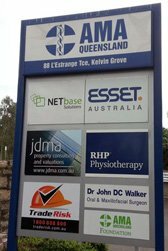 Our office is in Albion, which is just minutes from the Brisbane CBD. When you call Trade Risk you will be speaking with one of our staff members who live and breathe insurance for tradespeople. You can also visit our office anytime if you want to chat with us face-to-face. Our entire business is dedicated to providing insurance solutions to tradespeople. Some other businesses claim to specialise in trade insurance, but they’re simply departments of larger insurance businesses. 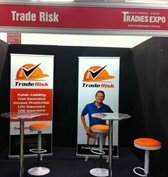 We are dedicated to tradespeople and attend events such as the National Tradies Expo to get involved in the trades community. Our sole purpose is to help tradies to protect themselves via insurance. Although Trade Risk is independently owned, we rely on some great partnerships to help look after our clients. We are licensed through Westcourt General, who have insurance advisers throughout the country looking after thousands of clients. Westcourt manage various back-office tasks for us, including comprehensive compliance audits to ensure we are doing the right thing by our clients. Through WGIB we are also part of the Steadfast group. Steadfast gives us access to improved insurance wordings and the buying power of over $3 billion in annual insurance premiums! To ensure we can get you a great deal on your insurance we use a range of Australian insurers and underwriting agencies. 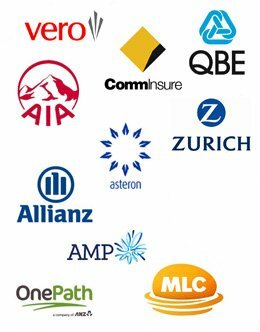 We enjoy strong relationships with a number of Australia’s leading insurance companies who work with us to help our trade clients. These relationships allow us to get coverage and pricing that may not be available through all other brokerages. But we’re always on the lookout for newer and better options. If a new player comes along who can better help our clients, we want to talk to them. Our team is made up of qualified insurance professionals that really know their stuff. Most of our insurance professionals have a minimum of ten years experience in the industry, along with qualifications which exceed the minimum requirements. We are also required to maintain our knowledge by attending various insurance training events each year. Our staff love dealing with tradespeople. We know the risks that you guys face and we know how to protect you from them with insurance. There are some types of insurance that even an insurance broker is not qualified to give advice on. These types of cover include life insurance, tpd and trauma insurance as well as proper income protection. Only a qualified financial adviser can give advice on these forms of cover, and here at Trade Risk we have our own adviser operating out of our office who is available to all Trade Risk clients. We are absolutely passionate about helping tradespeople to protect themselves and their families via insurance. If you would like to know more about how Trade Risk can help you and your business, please call us on 1800 808 800.